Entrants must Like the Afternoon Express Facebook page (if you have not already done so previously);Reply to the Afternoon Express: Clover Classic Custard post on the Afternoon express Facebook page (https://www.facebook.com/afternoonexpress/) during the Competition Period by posting a picture of yourself holding a box of Clover Classic custard and a dish you prepared using Clover Classic Custard and include a short description of what you have made. Competition closes: 13 November 2017 at 23:59 Terms and Conditions Apply. 1.1. The Afternoon Express: Clover Classic competition (Competition) will be run by Cardova Trading (Pty) Ltd in association with Clover S.A. (Pty) Ltd. (Organisers/we/us/our). Entries for the Competition will open at 16h00 on Monday, 23 October 2017 and will close at 23h59 on Monday 13 November (Competition Period). 4.1.2. Reply to the Afternoon Express: Clover Classic Custard post on the Afternoon express Facebook page (https://www.facebook.com/afternoonexpress/) during the Competition Period by posting a picture of yourself holding a box of Clover Classic custard and a dish you prepared using Clover Classic Custard and include a short description of what you have made. 4.2. You may enter more than once for this Competition provided that each entry is unique (i.e. you cannot post the same dish). 5.1. We will select 1 (one) person (Winner) from all correct entries received as the winner of the prizes herein. The winning dish will be picked based originality and visual appeal. (Tip: try not to copy recipes that were recently featured on Afternoon Express as it will not be considered to be original). The Winner will be determined within 3 (three) days from the closing date of the Competition. The Winner will be determined in our sole and unfettered discretion and will be subject to clauses 5.2 and 7.2. 5.2. We will notify the Winner by commenting on the Winner’s entry post within 24 (twenty-four) hours from determination of the Winner to request a copies of the Winner’s identification document in order to validate his/her entry and to request further contact details. Each Winner will be required to provide an electronic copy of his/her identification document within 3 (three) days from being requested by us, failing which the Winner will forfeit the Prize and have no claim against us. 6.1. The Winner will receive a chance to appear as a guest chef on the Afternoon Express show to make their recipe. 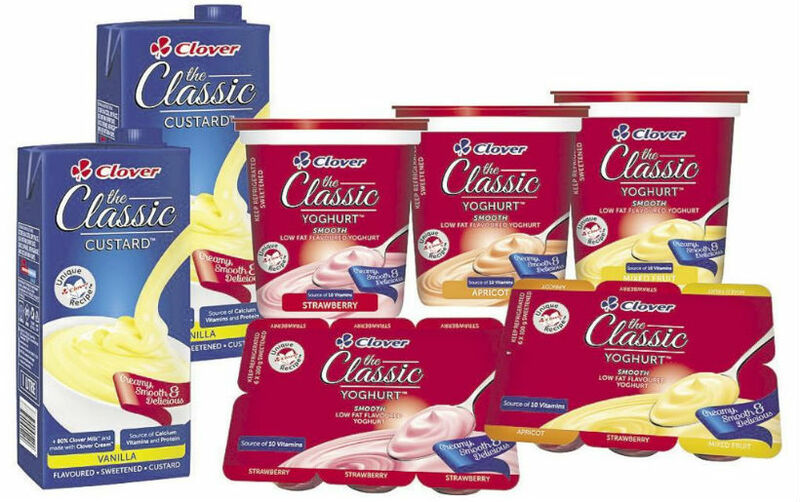 In addition, they will also win a Clover hamper to the value of R 1 000.00 (one thousand rand) (Prize). 6.2. The Prize excludes all items not specifically mentioned in clause 6.1 and may differ from images or items used in marketing material for the Competition. 6.3. We will contact the Winner to receive all necessary information to deliver the Prize and the Prize shall be delivered to the Winner at an address within the Republic of South Africa within 20 (twenty) business days from confirmation of the Winner. We will provide all necessary details regarding the appearance on Afternoon Express. 7.3. We reserve the right to cancel this Competition and / or to amend these terms and conditions at any time during the Competition Period and at our sole discretion. 7. 10. We assume no liability whatsoever for any direct or indirect loss, harm or damage arising from your participation and/or any Prize awarded in the Competition or for any loss or damage, howsoever arising. All persons, whilst participating in this Competition, indemnify and hold us harmless for any loss, damage, harm or injury (whether arising from negligence or otherwise) which may be sustained as a result of any claim, costs, expense, loss or damages which may be made by any third party.